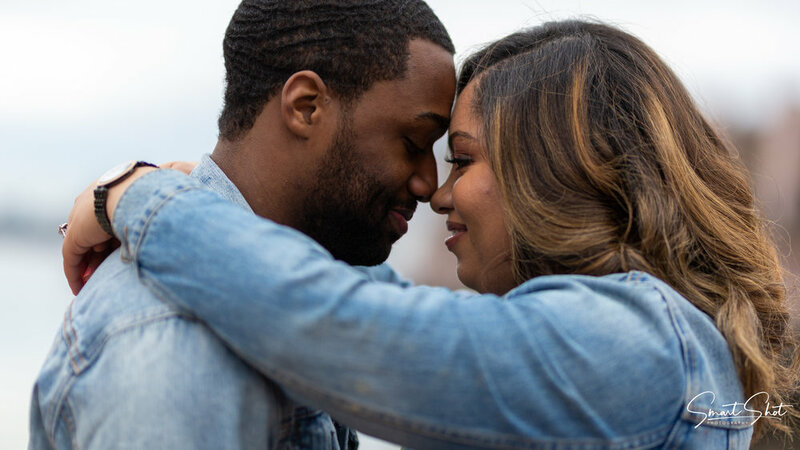 Bright lights, towering buildings, and the buzz of city life – that’s what we had in store for us throughout Ray and Way’s vibrant engagement session last month. 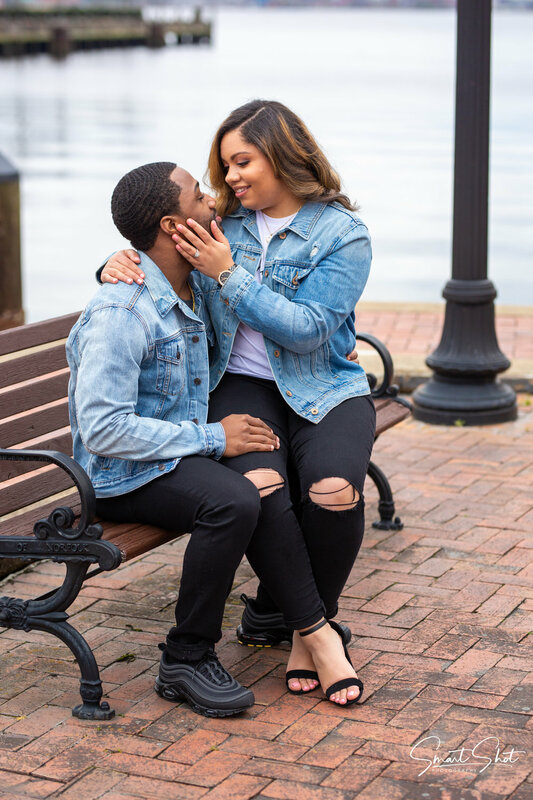 We hit the bustling streets of Norfolk and I am so excited that we were able to use the Historic Hecht Building as a backdrop, along with the beautiful pagoda and oriental garden! With over 10 years of history, this beautiful, young military couple have been through so much together! Spending so much time as a long distance couple, Way accepted the solution of flying out once a month to see her beloved, Ray. After the constant trips, Ray knew she was the one and decided to propose right in the airport. Can you say tear jerker? These two were full of energy, and I love that they wore Bride and Groom tees. It was the perfect complement to the bustling city vibes we were working with throughout the shoot. “We wanted something simple and cute,” said the couple. NAILED IT! I think the t-shirt photo above is my absolute favorite from the day. Just look at that chemistry! These two are going to be so much fun to photograph on their wedding day in April! Can’t wait! Hi, I'm Ronny! I love ice cream, bubble wrap and parties. What I love most about photography is being able to capture the moment as I see it. Between Reggie and I, we have different styles and that is what makes us the perfect husband and wife combo. I capture the little details you may miss and he captures the moment. I love being able to work alongside my best friend everyday and also being able to be creative. Photography is what I love and its nice to do what I love with whom I love.